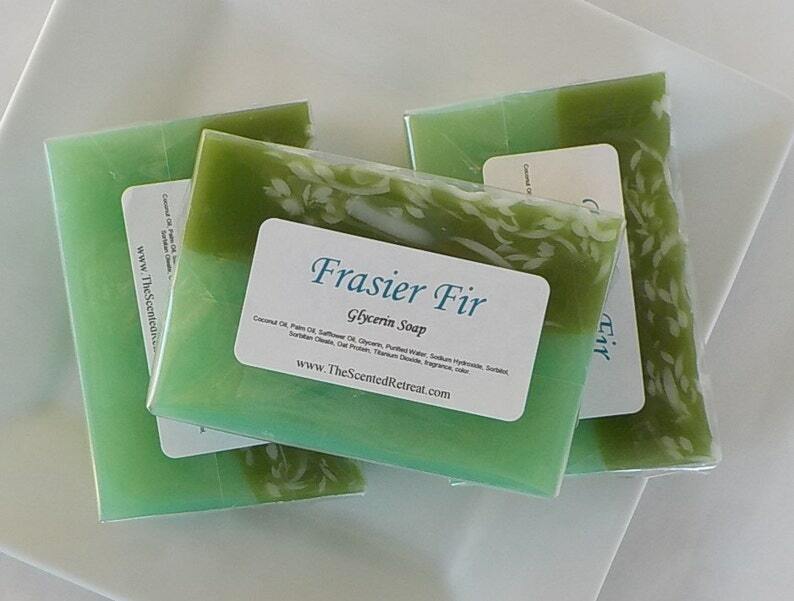 Frasier Fir glycerin soap, lovely pine scent. Our version of a popular fragrance. We do combine shipping for multiple items and refund any overage of $1 or more. Smelled so pretty! Timely shipping! Thanks! It says Men’s soap, but I use it too! I adore the scent.